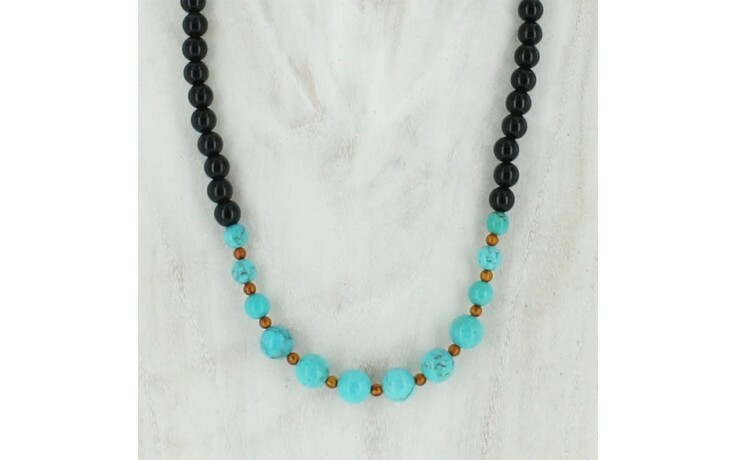 Azure Peaks turquoise, black agate and amber are featured in this smooth beaded single strand necklace. The focal point is the center which includes turquoise and tiny amber beads in an alternating pattern, then flanked by shiny black agate. 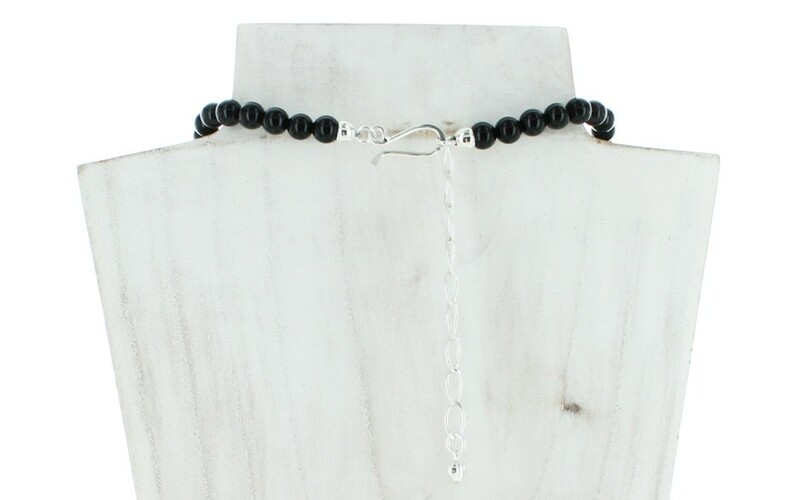 Easy to layer with other strands. 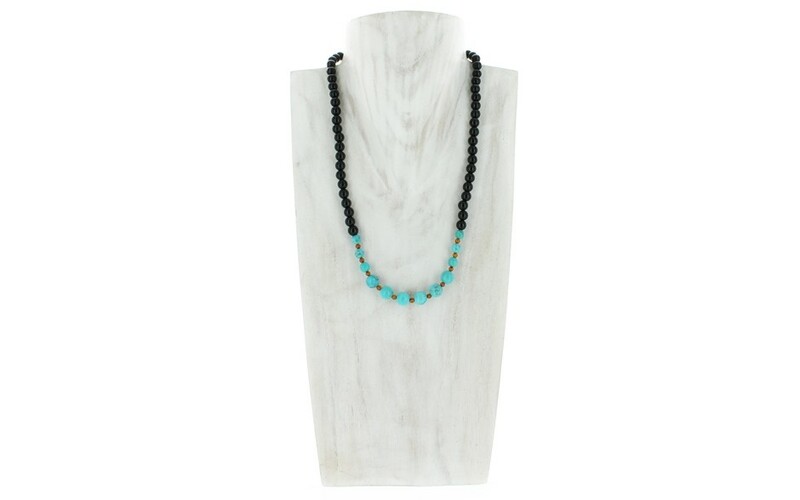 The beads range in size from 3mm to 8mm. 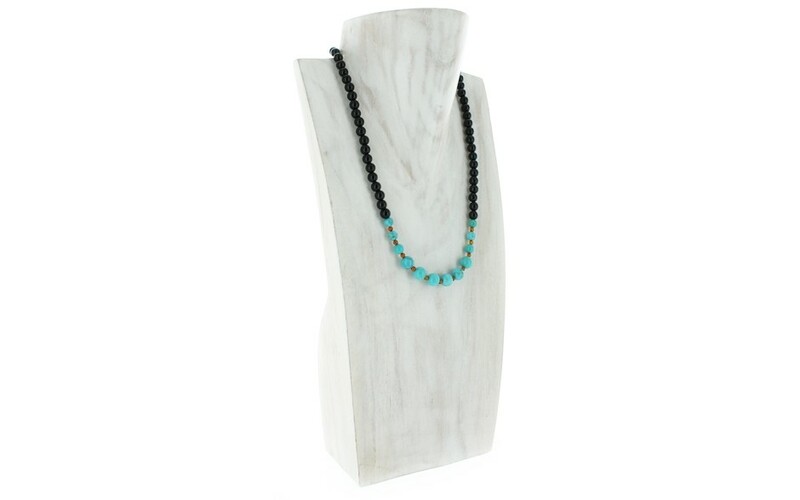 The stabilized turquoise was mined in Mongolia, the pressed amber is from Ukraine, and the color enhanced agate was mined in South Africa.